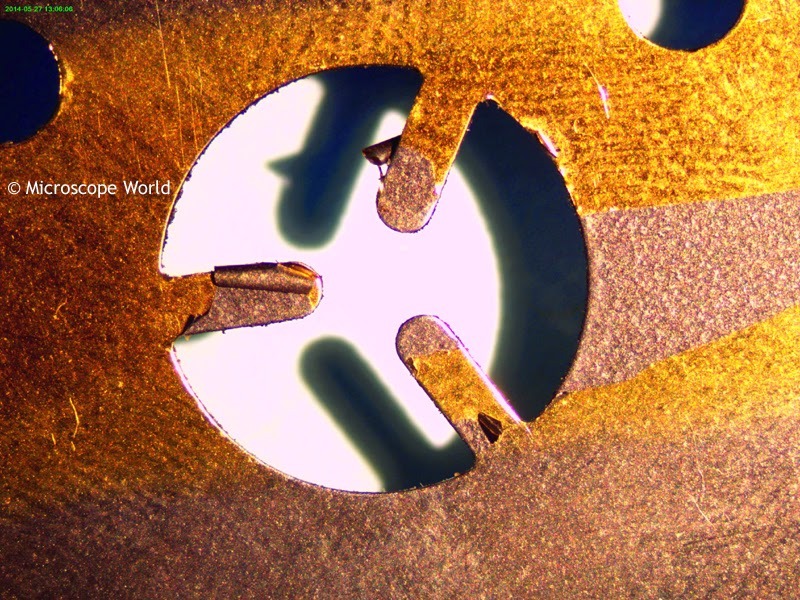 Microscope World recently had a customer who needed to view the consistency of coating on metal parts. Using the macro zoom lens microscope system, they were able to view and capture images at 15x and 160x magnification in order to inspect the layering (and pealing) of the metal coating. Metal piece for microscope inspection. Captured under the microscope at 15x magnification. Tip of a prong shown above captured at 160x magnification under the microscope. All images were captured using a macro zoom lens, LED ring light and a 5 megapixel microscope camera. 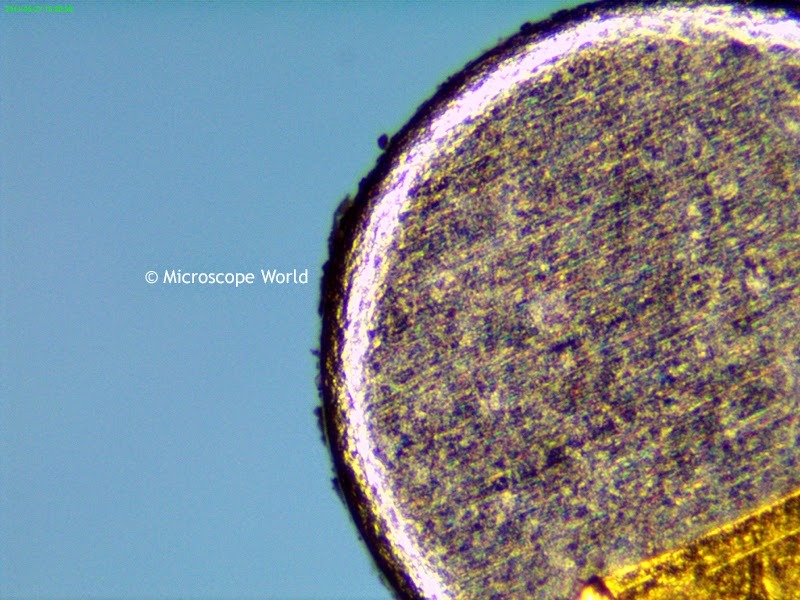 For custom macro zoom lens solutions please contact Microscope World.